Enter a world where Good and Evil are always at loggerheads with this new release by Betsoft - Good Girl Bad Girl.This slot offers players a wonderful chance to control their gaming experience by having 3 gaming options which will allow you to be a good girl, a bad girl or play both options. 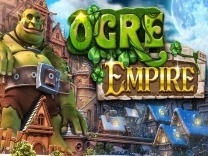 This slot is exciting and fun to play as it offers wonderful prizes. Good Girl, Bad Girl is a 5-reel, 3-row and 15 payline slot with different bonus features.So get ready to be a good girl or bad girl as you spin this reel for amazing prizes. 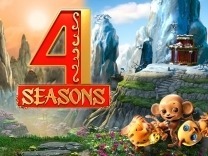 While this game offers both an amazing base and bonus games, this slot is another masterpiece from Betsoft. It features a gameplay which allows players to control how they would like to play the game. Having a theme which depicts an age-old battle between good and evil, you will find that playing the good side of the game will award smaller regular pays while playing the bad girl will award you larger pay but not at regular intervals. 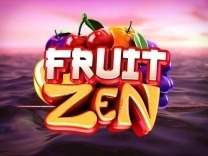 The theme is complemented by the background which features an angel on one side and a devil on the opposite of the slot.The graphics and visuals are extremely superb and an amazing 3D rendering of a video slot. The soundtrack ties the slot together as it plays, it will nudge you to continue spinning the reels. 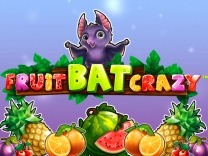 If you are looking for a slot which is exciting, then this is the game to choose. 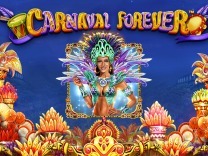 It is a medium variance slot and depending on the gameplay, you will receive regular payouts. It is recommended for all players whether a novice or veteran as it is exhilarating and enjoyable to play. Good Girl, Bad Girl is an amazing slot with different features which makes it enjoyable to play. 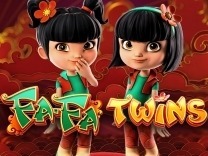 The slot features characters such as the two girls, one good one bad, two cats one adorable and one just plain monstrous and mischievous and a couple of generic card symbols. The card symbols include A, K, Q, J and 10. The generic card symbols are the low paying symbols with the highest amount paid out being 450 coins for matching 5 of these symbols while the lowest amount which you can receive is 25 coins for matching 3 of these symbols. The high paying symbols represented by both the good and bad girls and cats offer the same payouts on either side with the highest amount paid out being 1800 coins for matching 5 of the girls' symbols and 900 for matching 5 of the cat's symbols.To play this slot, you have to set a wager. This can be done by using the -/+ buttons at the bottom of the slot display. You have to choose the coin value and the number of coins you want per bet line. The minimum and maximum coin value and number of coins range from 0.02 to 0.50 and 1 to 5 coins per line respectively. There is an autoplay feature which allows players to spin the reels and sit back, relax and watch as they land winning combinations. In Good Girl, Bad Girl Slot, you will find 15 paylines which will give you multiple chances to make winning combinations with each spin. You have to match at least 3 symbols in an active payline to receive a payout.Watch out for the money wheel symbol as this is the best symbol in Good Girl, Bad Girl slot. This symbol will give you a chance at the progressive jackpot. Good Girl Bad Girl offers players a wonderful base game but you will be excited to know that there is an amazing bonus game. The game has a wild symbol which will substitute all other symbols on the reels except the money wheel symbol. Whenever a halo or pitchfork symbols appear on the reels they will transform into a wild each subjecting the wins to a multiplier.There is also a click me feature which is activated by both the pitchfork and halo symbols occurring side by side. Depending on your play mode, you will either play the good or bad variant. 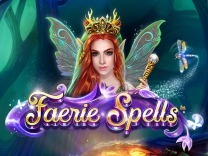 you will be presented with 4 gift boxes each containing a small win, medium win, big win and a collect.Apart from the gift box variants, there is the money wheel bonus incorporated into this slot. 3 money wheel symbols will trigger this bonus game. 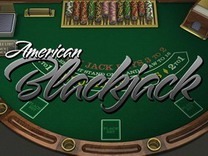 This game will give you a chance at the good or bad jackpot. During this feature, the wheel will spin to earn you instant prizes and the ability to trigger the progressive jackpots.Finally, there is a double up bonus feature. Whenever you click this feature you will be transported into the sky where you will play the coin toss. Choosing the correct side means doubling your wins while incorrect guesses mean forfeiting your winnings.